As a winner of the World Bank #Blog4Dev contest on ending gender-based violence, Building Tomorrow Fellow Namata Tendo had the opportunity to represent Uganda at the 2018 Spring Meeting of the IMF and World Bank Group in Washington, D.C. In her blog, Tendo wrote about the challenges that survivors of gender-based violence in Kamwenge face and the work she is doing to combat these challenges. Her approach centers around working with school communities to prevent gender-based violence through Village Gender Teams, alongside complimentary interventions and activities through her social enterprise—Embibo Gender-Based Initiative. 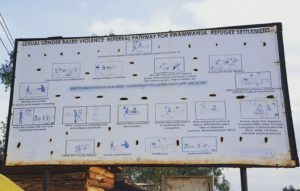 A roadside billboard in the town of Rwamwanja in Kamwenge District depicts the complex referral system in place for victims of GBV. Therefore, in 2017, just months after she arrived in Kamwenge as a Building Tomorrow Fellow, Tendo, who has also been a victim of sexual and emotional abuse, decided she had to do something. That something was Embibo Gender-Based Initiative. 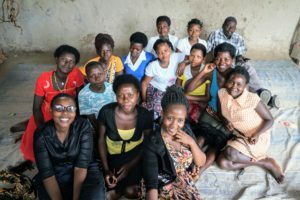 Embibo co-founders and Fellows Namata Tendo and Lucky Natukunda sit with a group of young women who are being trained in literacy and numeracy, alongside practical skills like hairdressing, to grow their own small businesses. Embibo, meaning “seed” in the local Rukiga language, is an initiative launched by Tendo, alongside Fellows Lucky Natukunda and Deborah Ndibakoowa, to build the capacity of rural school communities to fight gender-based violence. It envisions the enactment of quality gender programming that ultimately strengthens both formal and informal systems to put an end to harmful gender beliefs and practices. In practice, Embibo carries out this vision through a combination of advocacy, information sharing, and community-led actions that promote a gender-sensitive learning environment, leadership and financial empowerment amongst rural women and girls, and positive attitudes and resources surrounding girls’ rights. One of these community-led actions—and the concept for which Tendo received international recognition by the World Bank—is the formation of Village Gender Teams. Inspired by the model of water committees, which Tendo noticed were extremely efficient at cleaning and maintaining community water sources, Village Gender Teams are similarly comprised of community members who spread positive gender messages and serve as a first point of contact for referring cases of GBV in the community. Transitioning the power to decide and act upon cases of GBV to the community level is important for improving access to critical information and helping victims navigate a complex system, as well as instilling a sense of ownership at the village-level to take on the issue of GBV and create oversight for zero-tolerance zones. Tendo has already mobilized a Village Gender Team of 20 people to advocate and sensitize the community on gender-based issues. 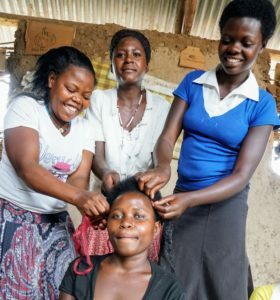 Alongside other complementary activiies, young women are taught the skill of hairdressing each week as a means for economic and social empowerment. These teams and Embibo’s other interventions are centered around the schools at which the Fellows work. By positioning schools as hubs for advocacy, knowledge, and skills dissemination on important gender-related issues, Embibo is leveraging a space that already serves as an intersection between government, teachers, parents, and children to cascade important gender messages to different social and demographic groups. The model is not only resource-smart in terms of efficiency, but is also sustainable due to its harnessing of already-respected and already-present local institutions and social capital towards her cause. It encourages a kind of self-reliance and leadership that allows GBV solutions to be locally initiated, molded, and adapted, and therefore sustained in the long-term. Beyond Village Gender Teams, Embibo is coordinating an array of complimentary interventions at four of the Fellows’ schools, which are intended to work together synergistically to create an ecosystem conducive to gender empowerment. “The intention was to create a project that gives all of these different things that complement each other,” says Tendo. These interventions include the formation of Child Protection Clubs, skills training for both students and young mothers, and advocacy campaigns for girls’ education. 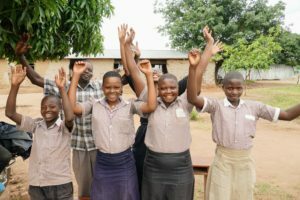 Through Child Protection Clubs, both boys and girls are taught about proper menstrual hygiene management, positive attitudes to combat the cultural stigma surrounding menstruation, and how to make reusable sanitary pads to help keep their peers in school. Regarding Child Protection Clubs, the Fellows have spearheaded the establishment of two clubs comprising 91 members who meet regularly to discuss topics like sexuality, menstrual hygiene management, and leadership. 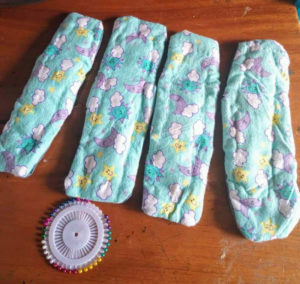 Besides providing a forum for discussion on key gender-related topics, the clubs also serve as a nexus through which important workshops are led, including a training earlier this year on how to make reusable sanitary pads to help keep girls in school. Importantly, the clubs and trainings intentionally involve both boys and girls, as gender empowerment requires the participation and support of both sexes. As for skills training, at New Eden Primary School, the Fellows have mobilized a group of 35 young women, primarily single mothers, who are being trained in literacy and numeracy, alongside practical skills like hairdressing, so that they can grow their own small-scale businesses. The group provides a space for the women to both socialize and support each other while promoting the kind of confidence and economic empowerment that affords them the ability to stay free from violence and also support their own children’s educations. 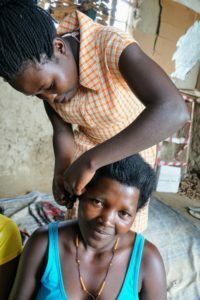 The women are taught basic literacy and numeracy twice a week by a teacher named Mr. Patrick, followed by business classes by Head Teacher Scovia Katushabe, and hairdressing classes by a paid professional. So far, the women have been able to save 200,000 UGX (about $52) and received recognition from the parish chief. Supplementing these efforts in the wider community, Embibo has also partnered with Industrial Cottages Uganda to train 81 people in small cottage industry skills such as the making of bar and liquid soap, chalk, Vaseline, and shampoo. These skills help parents and other community members generate income to keep their children at school, as education is associated with reduced risk and exposure to GBV, alongside other lifelong benefits. Far from static, Embibo continues to evolve its messages and programs to meet the needs of those in the community. After receiving a £500 award from Akina Mama Wa Africa, it has engaged nearly 70 people in focal group discussions and key performance indicator research sessions to review the state of gender-based issues in the community and explore potential solutions. It has also received support from Challenges Worldwide via a £767 award to carry-out 6 gender-related trainings in the community, and has developed its own community training curriculum to combat GBV that has already been put into practice, covering topics like child protection, positive masculinity, gender-sensitive classrooms, and action planning. 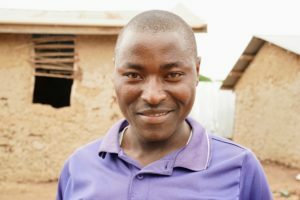 Saturday Renez, a first grade teacher at New Eden Primary School, has used the knowledge he gained through Embibo trainings to help resolve domestic disputes in the surrounding community and raise awareness on gender-related issues. As for Tendo, she and the other Fellows of the Embibo team continue to evolve their enterprise, and have even acquired new office space in Ntugamo town this week to help coordinate and grow their impact.